1) (Kilmarnock, co. Ayr, Lord Boyd and Earl of Kilmarnock, attainted 1746, and now represented by the Earl of Erroll). (Ballymacool, co. Donegal; descended from the noble Scottish family of Kilmarnock, now represented by John Robert Boyd, Esq., of Ballymacool). Az. a fesse chequy ar. and gu. Crest—A dexter hand erect, pointing with the thumb and two fingers ppr. Supporters—Two squirrels ppr. Motto—Confido. 2) (Portincross, co. Ayr; a cadet of Kilmarnock: the heireis, Grizel, dau. of Robert Boyd, of Portincross, to. 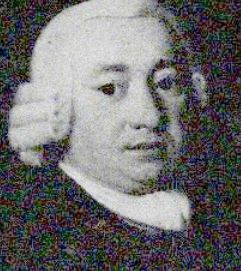 Alexander Fullarton, Esq., of Kilmichael, in Arran, and died in 1722, leaving issue). Arms, as Kilmarnock, within a bordure ar. 3) (Piton, co. Ayr; descended from Thomas, 2nd son of Alexander Boyd, of Kilmarnock). The same Arms, with a bordure or. Crest—A hand couped, pointing with one finger to the heavens ppr. Motto—Spes mea in Coelia. 4) (Rochfort Boyd. Exemplified in 1867 to George Augustus Boyd Esq., of Middleton Park, co. Westmeath, only son of Abraham Boyd, Esq., Q.C., by Jane, dau. and eventual sole heiress of Kev. James McKay, of Dromore, co. Down, and relict of George Rochfort, 2nd Earl of Belvidere on his assuming by royal licence the additional surname and arms of Rochsort). Quarterly, 1st and 4th, az. a fess chequy ar. and gu. betw. three crescents of the second, for Boyd; 2nd and 3rd, az. a lion ramp. ar. in chief two robin redbreasts ppr., for Rochfort. Crests—1st: Out of a ducal coronet or, a hand erect, with the third and fourth fingers folded ppr., for Boyd; 2nd: On a mural crown or, a robin redbreast ppr. charged with across pattco gold, for Rochfort. Mottoes—Under the Arms: Candor dat viribus alas; and over the Crest: Confido. 5) (Pinkill). Az. a fesse chequy ar. and gu. in base a cross moline or. Crest—A cross moline sa. Motto—Prudentia me sustinet. 6) (Trochrig). Az. a fesse chequy ar. and gu. betw. two crosses crosslet fitchee in chief, and as many stars in base of the second. Crest—A sun dial or. Motto—Eternitatem cogita. 7) (David Boyd, bailie of Edinburgh, 1672). Az. a fess chequy ar. and gu. betw. two barrulets of the second. Crest—A star of five points or. Motto—Virtus nobilitat. 8) (John Boyd, bailie of Edinburgh, 1672). Az. a fess chequy ar. and gu. betw. three roses in chief, and a crescent in base of the second. Crest—A hand pointing with two fingers to the sun in his splendour ppr. Motto—Confido. 9) (Capt. James Waddel-Boyd, formerly Waddel, 1858). Az. a fess chequy ar. and gu. betw. two buckles in chief of the second, and in base a saltire couped chequy or, and of the third. Crest—A dexter hand pointing upwards with the thumb and two fingers ppr. Motto—Confido. 10) (Major James George Hay-Boyd, formerly Hat, of Townend, co. Ayr, 1865). Az. a fess chequy ar. and gu. betw. three inescutcheons of the second. Crest—As the last. Motto—Confidimus. 11) (Roslare, co. Wexford; descended from the Boyds, of Kilmarnock, and more immediately from Higgatt Boyd, Esq., to whom his cousin, John Highgate, Esq., of Roslare, bequeathed his estates by will, dated 1677). Arms, &c., as Boyd, of Kilmarnock. 12) (Danson, co. Kent, bart.). Az. a fesse chequy or and gu. in chief three mullets of the second, in base a crescent gold. Crest—Three ostrich feathers sa. Motto—Confido. 13) (Dodleston and Grappenhall, co. Chester. in temp. Edward III., Joane, sister and co-heiress of William Boydell, of Dodleston, m. Sir John Daniel, and their dau. and heiress, Nicolaa, m. Sir Geoffrey Warburton, and their dau. and heiress, Margaret, m. Alan de Rixton, who d. s. p.; Margaret d. 1382, leaving Margaret, dau. of Sir Thomas Danyers, and wife of John Savage, her next of kin and heir. Temp. Edward III., Margaret, sister of the above-named Joane, m. Owen Voyl, a Welshman, and their grandson took the name of Boydell. The co-heiress of this family, temp. Henry IV., m. a younger son of Reddish, of Reddish, co. Lancester. In 1550, Maud, dau. and heiress of Thomas Reddish, of Catterich, in Grappenhall, and of Dodleston, was wife of James Merbury, Esq., of Merbury, co. Chester). Vert a cross patonce or, also ar. on a fesse engr. (sometimes plain) vert three mullets or (sometimes two mullets) and (vert) a cross clechee betw. four mullets (or). Crest—A Saracen’s head couped ppr. thereon a cap gu. turned up erm. the end hanging down with a bell attached to it or. 14) (Granted to Ven. William Boyd, Archdeacon of Craven and Vicar of Amcliffe, Skipton, co. York, and to Edward Fenwick Boyd, Esq., of Moor House, Leamside, co. Durham, and to the other descendants of their farher, William Boyd, Esq., of Newcastle-on-Tyne, and of Burfield Priory, co. Gloucester). Az. a fesse indented chequy ar. and gu. betw. two lozenges of the second. Crest—In front of a dexter hand couped at the wrist, pointing upwards with the thumb and two fingers ppr. three lozenges conjoined and fessewise az. Motto—Confido. 15) [Argent] a fess chequy [gules and or] Crest: a falcon feedin Arms a stone inlay, now cracked. North Burying Ground, Portsmouth, N. H. George Boyd’s altar tomb. Source: Bolton’s American Armory. 16) Quart 1 and 4: Argent a fess chequy gules and or; 2 and 3 sable: A chevron ermine between three six-pointed estoiles argent (Brewster) Tapestry hatchment, signed “Sub- mit Boyd,” daughter of Hon. Geo. Boyd of Portsmouth, N. H., and his wife, Jane Brewster. Barrett Wendell, owner, Portsmouth, N. H., 1910. Framed. Source: Bolton’s American Armory. 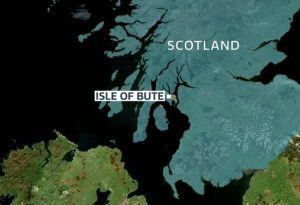 This is a Scottish habitational/locational last name denoting a person from the island of Bute in the Firth of Clyde, with the Gaelic name of this location being Bód or Bóid. The marquess of Bute in Gaelic is Morair Bhoid. The first Boyds were vassals of De Morevilles in the regality of Largs, and quite likely may have come in their train from England. Another source asserts this is a baptismal/patronymic name deriving from the nickname Boidh, an Erse or Gaelic name, meaning yellow, or fair or yellow-haired. The Gaelix word buidhe means yellow-haired. The name is common in Ulster, Northern Ireland, where it is sometimes spelled O’Boyd. In some cases, it is an Anglicized version of a Manx (Isle of Man) name similar to the Irish surname MacElwee. Some claim the name derives from MacGiolla Buidhe, which means the son of the yellow-haired youth. One author also notes that Boyd is the name of a river in England that combines with the Avon. It should also be noted there was a family of this surname that were established in Shropshire, England who were of Norman descent and were granted lands by William the Conqueror in the twelfth century AD. They are now represented by the Earls of Errol. Family tradition asserts the family descended from Walter Fitz-Alan, scion of the Royal Stewarts of Scotland. He became the 1st High Steward of Scotland around 1150 AD and he owned lands in Ayrshire and Renfrewshire. His son Simon had a son named Robert, who had blonde hair. The family built Kilmarnock Castle, later called Dean Castle, which served as the main seat of the family. Some spelling variants or names with similar etymologies include Boyde, Boyda, O’Boyd, Boyard (French), Boid, Byard, Byatt, Byearde, and Byat. The last name Boyd ranks 164th in popularity in the United Status as of the 2000 Census. The name ranks particularly high in the following five states: Tennessee, Georgia, Virginia, Mississippi, and South Carolina. The surname Boyd frequency/commonness ranks as follows in the British Isles: England (454th), Scotland (119th), Wales (719th), Ireland (766th) and Northern Ireland (23rd). In England, it ranks highest in county Northumberland. In Scotland, the surname Boyd ranks highest in Ayrshire. In Wales, it ranks highest in Carmarthenshire. In Ireland, it ranks highest in county Monaghan. In Northern Ireland, it ranks highest in Antrim. The name is also present throughout the remainder English speaking world: Canada (298th), New Zealand (140th), Australia (193rd), and South Africa (1,429th). This is considered a Lowland clan seated in Ayshire. Their crest is a dexter hand erect and pale having the outer fingers bowed inwards. Their plant badge is laurel leaves. In 1306, a member of this Clan, Duncan Boyd, was excecuted for supporting the cause of Scottish Independence. 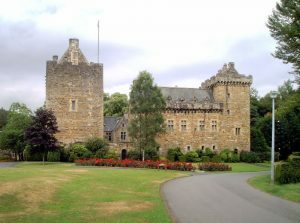 During these wars, Sir Robert Boyd was an ardent supporter of King Robert the Bruce and was a commander at the Battle of Bannockburn in 1314.The following is a list of castles (besides Kilmarnock and Dean) associated with the family: Portencross, Bedlay, Badenheath, Brodrick, Callendar House, Law, Little Cumbrae, Penkill, Pictor, and Trabboch. 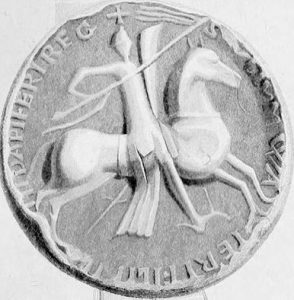 The earliest known bearer of this surname was Robert de Boyd who was documented in 1205 AD. Early marriages involving this surname was Caler Boyd to Donald Valentine at St. George’s Capel, Mayfair in 1741, as well as Robert Boyd to Marie Irving at St. Nicholas’ Church in Aberdeen, Scotland in 1639 AD. An early baptism involving this name was George Hay, son of William Boyd and Janet Machie, at Old Machar, Aberdeen, in 1796. In Scotland, a one Dominus Robertus de Boyd witnessed a contract between Bryce de Egluntune and the burgh of Irvine in 1205 AD. Alan de Bodha appears in Dumfries in 1214 AD. 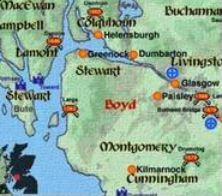 Robert Boyd is traditionally said to have distinguished himself at the Battle of Largs in 1263 AD. A one Walterus de Boht witnessed confirmation of gift of the church of Cragyn to the monastery of Paisley, Scotland in 1272 AD. The lineage of this family is old and this branch of the Boyd family has common ancestry for the Boyds, Earls of Kilmartin. The Reverend William Boyd of Merton Hall sold his Lancashire lands in 1780. He married Joanna, daughter of Reverend James Maitland, son of Pitritche and Banchory, county Aberdeen, Scotland, and had two sons with her: Edward (his heir) and William (died in American in 1814 and had a son named Maitland Wilson). 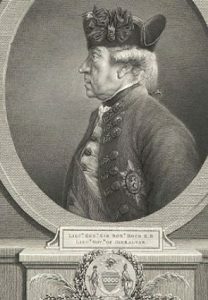 His heir, Edward Boyd, was Esquire of Merton Hall who was Deputy Lieutenant and in 1797, married Jane, eldest daughter of Benjamin Yuke of Wheatfield. There were ten children that resulted from this marriage: William Sprot (E.I.C.’s Civil Service), Benjamin (murdered by natives of the Island of Guadalcanar in the South Seas in 1851), Mark, John Christian Curwen, Edward Lennox, Marion, Stewart, James, Mary, and Jessy. His son Mark Boyd was an Esquire of Merton Hall, a Justice of the Peace, was born in 1805 and succeeded his brother Benjamin in 1851. In 1848, he married Emma Anne, widow of Robert Coates of Montagu Square, London. Mark in turn was succeeded by his brother John Christian. John Christian Curwen Boyd was an Esquire of Merton Hall, county Wigtown who was born in 1811 and succeeded his brother Mark in 1874. In 1841, he married Meeta, daughter of Robert Campbell of Wigton and had seven issue with her as follows: Campbell (Lieutenant of the Royal Army, married Josephine Livingstone and had a son named Aubrey Paget), William Arthur Edward (Lieutenant 1st King’s Own Stafford Militia), Edythe Marion Boyd, Caroline Augusta (married Reginald Beauchamp Yorke), Leila Jessie, Blanche Mary (married Lord Henry Paget), and Betha Margaret Mabel. The Boyd Coat of Arms (erroneously called the Boyd Family Crest) is blazoned in heraldry as follows: Azure a fess chequy argent and gules. Crest: A dexter hand couped at the wrist, erect, pointing with the thumb and the next two fingers, the others turning down, all proper. John Robert Boyd was an Esquire of Ballymacool, county Donegal, who was Justice of the Peace, Deputy Lieutenant, Barrister-at-Law, and High Sheriff who was born in 1808. In 1851, he married Mary Louisa, daughter of Reverend William Knox of Clonleigh. 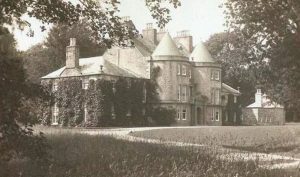 The Boyd genealogy traces back to John Boyd, Esquire of Letterkenny, son of John and Eleanor, and grandson of John, who built the family mansion at Letterkenny in 1673. He claimed descent of the branch in Scotland, the Earls of Kilmarnock. John married Ann, daughter of Alderman Gamble of Derry, and had issue with her including John (his heir( and Archibald (married Anne MacNeil, had a son named Captain John MacNeill Boyd of the Royal Navy). He died in 1764 and was succeeded by his son John, and Esquire and Major in the Donegal Militia. This John married Martha, daughter of Colonel Stewart (the Governor of the Bahamas) and had a son with her named John. This John was born in August of 1769, who in 1799, married Frances, daughter of Sir Samuel Hayes, Baronet of Drumboe Castle, and had issue with her as follows: John Robert (mentioned at the beginning of this paragraph), Captain William (of the 87th Royal Irish Fusiliers, Brevet-Major in the Scots Grey in the Crimea), Mary (married William H. Porter), Patty, Frances, Anna Maria (married William Stewart Ross of Sheep Hill), and Isabella (married John Robinson). The Boyd Coat of Arms (mistakenly called the Boyd Family Crest) has the following heraldic blazon: Azure a fess chequy argent and gules. Crest: A dexter hand, couped at the wrist, erect, pointing with the thumb and first two fingers, proper. Motto: Confido. They were seated at Ballymacool, Letterkenny, and county Donegal, Ireland. The lineage of this branch of the family tree begins with Walter Boyd of Walworth, county Dublin, Ireland and West Pier House Howth in said county who married Jane Stephens, and had two issue with her: Alexander and Samuel. 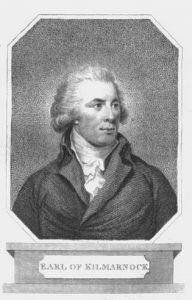 He later married Jane, daughter of Robert Macrory of Castledawson, and had issue three children with her: Robert Macrory (of East Plet House, married Julia Emma Stapleton, had issue), Sir Walter (1st Baronet), and Margaret Helen. He died in 1866. His youngest son was the Right Honorable Sir Walter Boyd, who was created a Baronet in 1916. He was a Justice of the Peace of Howth House born in 1833. He was educated at Trinity College and held numerous positions such as Queen’s Advocate for Ireland and Judge of the High Court of Justice. In 1862, he married Annie Catherine, daughter of Matthew Anderson, and had five issue with her: Alice Mary, Ida Jane, Walter (2nd Baronet), Cecil Anderson (Major of the R.A.M.C, served in World War I, married Kathleen Mary Gwendolyn Hardie, had daughters Deirde, Aideen, and Ruth Mary, later married Marjorie Catherine Kinloch and had more issue with her), Henry Alexander (Lieutenat Colonel of the R.F.A, served in the South African War and World War I, married Moya Exham), had issue named Ronald Walter and Virginia Wilson), and Robert Reginald (Indian Police, married Agnes Maria Dorothea Harrison, had issue named Walter Michael Stewart and Robert Stanley). His son Sir Walter Herbert Boyd, 2nd Baronet, of Howth House, county Dublin, was born in 1867 and was educated at Trinity College. He was a Barrister-at-Law and succeeded his father in 1918. In 1901, he married Ruth, daughter of Sir William Dry of Nevin, Hook, Heath, Woking, and Surrey, and had a daughter with her named Marjorie Ruth Elizabeth. The Boyd Arms is blazoned as follows: Azure a fesse chequy argent and gules between three estoiles or. Crest: Out of a ducal coronet or, charged with three ermine spots a dexter hand erect having two last fingers turned in and the rest pointing upwards proper. They resided at Bainagowan, Parlmerston Park, Dublin, as well as South House, Howth, Dublin, Ireland. Thomas Boyd, 5th Baron of Kilmarnock (born in Renfrewshire around 1405 AD). This Thomas Botd married Duchal Lyle or Isabella Lyle and had the following issue with her: Robert Boyd (1st Lord Boyd of Kilmarnock), Janet, Sir Alexander of Drumbol, Archibald Boyd or Narston and Bonshaw, and Thomas (Lord Boyd, Earl of Arran). Robert Boyd, son of Adam II, was born in Antrim, Ulster, Ireland in 1678 AD. He married Elizabeth Jennet Johnston and had six sons with her as follows: George, James, William, Robert Jr., John, and Joseph S. His son George was also born in Antrim in 1691 and he went to colonial America where he died in Chester, Pennsylvania, having married Isabella Boyd and had six sons with her: Richard, Patrick, Jonathan, George Jr., Robert C. Sr., and James. His son George Jr. was born in Salisburg, Lancaster, Pennsylvania and he married Mary Douglas and later Margaret, having a son, also named George. This George was born in 1741 and he married Jemima Birge, with whom he had a son named William. His son William Jesse Boyd was born in Virginia in 1754. He married Nancy Bailey and had two sons with her: William Jesse II and Jesse. His son Jesse was born in Virginia in 1795 and he married Permelia Hurd, having had two issue with her: Henry and Caleb. His son Caleb was born in Virginia in 1827 and he married Martha Brammer and fathered the following children with her: Putman Nathaniel, Peoria, Utah, John Libert, and Martha Adeline. His son Putnam Nathaniel Boyd was born in Patrick, VA in January of 1853. He had a son named James Samuel who was born in Woolwine, Virginia in May 1888. 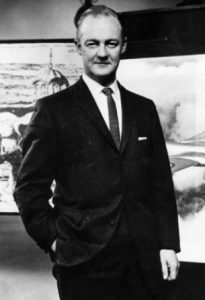 He had a daughter named Catherine Boyd who was born in 1922 (died in the 1999 in Collinsville, VA) who married Frederick Herbert Price Jr., having six children with him: Barry, Rodney, Crystal, Cynthia, Samuel, and Cathy. The book Genealogical Guide to the Early Settlers, mentions one bearer of this last name: James Boyd, of Newburyport, Massachusetts, who was born at Kilmarnock, Scotland,in 1732 and died in Boston, MA in 1798. He came to colonial America in 1756 with a grand from King George II of England that included several thousand acres of land at St. Andrews, New Brunswick, lands which were confiscated during the American Revolution. He constructed Kelmarnock House at St. Andrews. He was the son of Robert and the grandson of William, 8th Lord Boyd of Kilmarnock, Scotland, a direct descendant of the Kings of Scotland. In 1757, he married Susana Coffin, and had issue with her, including a son name Robert who was of Portland, Maine. Other early settlers in colonial America bearing this surname include: Alexander Boyd (Maryland 1674), Martha Boyd (Massachusetts 1712), Jean Boyd (1718-1724), Adam Boyd (New England 1723), Archibald Boyd (New England 1742), and Dougal Boyd (Philadelphia 1746). In Canada, one of the first settlers with this last name was Peter Boyd, who settled in Conception Bay, Newfoundland in 1706 AD. In Australia, one of the first bearers was Robert Boyd, a stone mason (or brewer?) who came to Van Diemen’s Land (modern day Tasmania) around 1830. In New Zealand, a one William Boyd came to the city of Wellington in 1840. 1) [Argent] a fess chequy [gules and or] Crest: a falcon feeding. Arms a stone inlay, now cracked. North Burying Ground, Portsmouth, N. H. George Boyd’s altar tomb. 2) Azure a fess chequy argent and gules. Crest: a dexter hand erect issuing out of the wreath pointing with the thumb and two fingers [proper]. Motto: Confido Bookplate Samuel John Boyd, Portland, Maine, 1808. See Boyd of Kilmarnock in Burke. 3) Quart 1 and 4: Argent a fess chequy gules and or; 2 and 3 sable: A chevron ermine between three six-pointed estoiles argent (Brewster). Tapestry hatchment, signed “Sub- mit Boyd,” daughter of Hon. Geo. Boyd of Portsmouth, N. H., and his wife, Jane Brewster. Barrett Wendell, owner, Portsmouth, N. H., 1910. Framed. 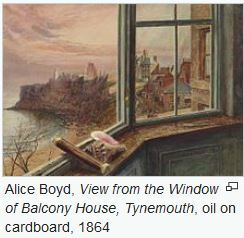 1) John Boyd of New Castle, Delaware, 1791, from Ayr, Scotland. Arms: Azure, a fesse chequy or and gules. Crest: A dexter hand erect pointing with the thumb and two fingers proper. Motto: Confido. 2) Herbert Hard Boyd, Esquire of Philadelphia, Pennsylvania. He bore the same arms as John Of New Castle discussed above. 1) John Boyd of Coleraine, county Londonderry, Northern Ireland, came to New Castle, Delaware in 1791. Arms: Azure, a fesse chequy or and gules. Crest: A dexter hand erect pointing with the thumb and two fingers proper. We have 16 coats of arms for the Boyd surname depicted here. Most of these blazons are from Bernard Burke’s book The General Armory of England, Ireland, and Scotland, which was published in 1848. The bottom of this page contains the blazons, and in many instances contains some historical, geographical, and genealogical about where coat of arms was found and who bore it. There are hundreds of notable people with the Boyd surname. This page will mention a handful. Famous people with this last name include: 1) Adam Mark Boyd (1982) was an English football (soccer) player born in Hartlepool, England who played for nine different teams as a striker from 199-2014, including Hartlepool United and Leyton Orient, 2) Alice Boyd (1825-1897) was a British painter that was born in South Ayrshire, Scotland and was also the 14th Laird of Penkill, 3) Thomas Boyd (1547-1611) who was a Scottish politican and noble, 6th Lord Boyd, 4) Thomas A. Boyd (1830-1897) who was a member of the U.S. House of Representatives from Illinois after the Civil War and was born in Bedford, Pennsylvania, 5) Robin Gerard Penleigh Boyd (1919-1971) who was a prominent Australian architect known for his innovative small house designs and was part of the Boyd artistic family dynasty in that nation, 6) Dennis Ray “Oil Can” Boyd (1959) who is a retired American baseball pitched who played for three different teams between 1981 to 1991, including the Boston Red Sox, and was born in Meridian, Mississippi, 7) Norma Elizabeth Boyd (1888-1985) who was one of the sixteen founders of Alpha Kappa Alpha, the first sorority founded by black females, at Howard University, who was born in Washington, D.C., 8) Mark Alexander Boyd (1562-1601) who was a Scottish poet and soldier of fortune, born in Ayrshire, who fought in the French Wars of Religion under King Henry III of the Polish-Lithuanian Commonwealth, 9) Louise Arner Boyd (1887-1972) who was an American explorer o the Arctic and Greenland, born in San Rafael, California, who was the first woman to fly over the North Pole, 10) Justin Body 1975) who was an American pharmacist and Republican member of the Arkansas House of Representatives, and 11) Jonathan Boyd (1944-1999), who was born in Syndey, Australia, under the birth name Jonathan Barry Boyle, was a professional wrestler that was part of the Royal Kangaroos starting in the 1960s, and later the Bushwackers who fought in the WWF from 1988-1996. The most prominent heraldic symbol in the Boyd Coat of Arms (mistakenly called the Boyd Family Crest) is the fesse chequy. The fesse is a broad horizontal band across the center of the shield, in very ancient times it was said to occupy one third of the area height of the shield, however it soon became somewhat narrower. This created an opportunity to add decorative edging to the band, of many forms, and to very pleasing artistic effect, at least close up – it must be admitted that at distance some of the forms are hard to distinguish! Chequy is a repeating pattern alternately colored squares, any combination of colors may be used. As well as covering the whole field, it can also be used as a patterning on some of the larger ordinaries, as here, in which case there are three rows of squares. Wade, an authority on heraldic meaning groups chequy with all those heraldic features that are composed of squares and believes that they represent “Constancy”, but also quotes another author Morgan, who says that they can also be associated with “wisdom…verity, probity…and equity”, and offers in evidence the existence of the common English saying that an honest man is a “Square Dealer”. The main tincture (color) is azure (blue), which signifies truth, strength, faith, loyalty, and chastity. on our website of http://www.clanboyd.org. as being the same “level” and one not longer than the other. Arms should be halved – or is it quartered – to show both Boyd families. Abbey. Order of the Bath, I think it might be. So even these, I am not sure are not a complete list either. have six different Arms for the head of the Clan. lieu of Hay in 1941 by warrant of the Lord Lyon of Arms. and to whom they belong to. seems to have said where or how these names are added to the list.